A helicopter drops water on the Graham fire near Lake Billy Chinook. Lightning strikes that came with thunderstorms that rattled windows and dropped hail and heavy rains June 20 ignited three fires in Central Oregon. 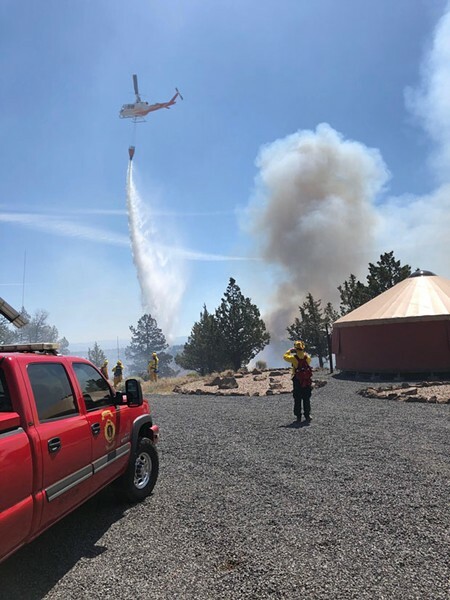 The Graham Fire, first reported June 21 near the town of Culver, burned nearly 2,200 acres and was 85 percent contained as of June 26, according to the Central Oregon Fire Information. The blaze burned two houses and five outbuildings in the Three Rivers Subdivision near Lake Billy Chinook, according to KTVZ. It could have been worse though, officials say. "Given the intensity of the fire and the strong winds driving it east, the fire had potential to leave dozens of families without a home today," Lake Chinook Fire Chief Don Colfels said in a release June 24. 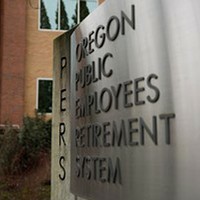 Two other fires continue to burn in the region. The Boxcar Fire has burned nearly 100,000 acres near Maupin and was 60 percent contained as of press time. The Jack Knife Fire, burning over 14,000 acres east of Maupin in Sherman County was 80 percent contained as of June 26. Lightning was the cause of both fires, according to COFI.